Belly Babies prenatal storytime is a new program for moms-to-be. 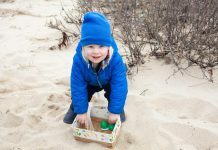 Belly Babies prenatal storytime is a new monthly program at the Vineyard Haven library for moms-to-be. New parents can bring their babies to storytimes at the Island’s libraries or to playgroups at the Family Center, but when children’s librarian Emily LaPierre learned that she was pregnant, she discovered that there wasn’t as much offered for mothers whose babies are still on the way. She created this monthly program to help fellow expectant mothers. The notion of reading to babies that early may be new to some people, but there are good reasons to try it. In late pregnancy, the baby already recognizes the mother’s voice, and the rhythmic songs and stories that a baby hears in the womb will be familiar and calming after birth. It also helps for an expectant mother to sit down and relax. Reading calmly slows her heartbeat and breathing, and the baby responds positively to that. The series will kick off on Feb. 10, with special guests Susan Lupone Stonis and Jacqueline Boyle. The two women have been doing creative projects together since they were kids, and enjoy sharing their love of reading and books. Stonis is a literacy specialist and former elementary school teacher, and Boyle is an artist, writer, and editor. Together, they’ve co-authored two belly books, board books specially designed in a curved shape to fit over a belly bump. 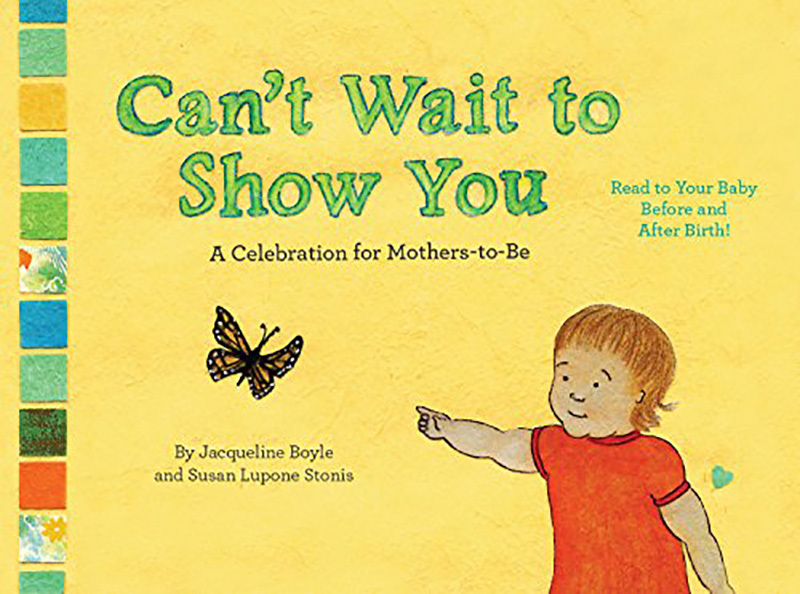 “Can’t Wait to Show You” is designed to be read to babies before they’re born, and “Hello Little Baby” helps older siblings begin to bond with their new brother or sister and get ready for the baby’s arrival. “This is an important early-literacy concept, and similar prenatal storytime series are cropping up all across the country,” the authors wrote in an email. “We’re coming to Martha’s Vineyard because we’re honored to help kick off her program, and both being from Sandwich, we love the Vineyard.” They have found that early literacy programs like this are a catalyst for community building. “There’s nothing like storytime for grabbing babies’ and toddlers’ attention and gathering young families together. And it’s such an easy and comfortable way for the grownups to start connecting with each other. This kind of warm, supportive environment is a beautiful way for new parents to connect, learn, and celebrate the magic of reading,” they say. The Feb. 10 program, from 2 to 3 pm, is free and open to all moms-to-be. On Sunday, March 10, from 1 to 3 pm, Belly Babies continues with Jennifer Knight and her Empowered Mamas Live Life on Fire creative retreat. Visit mamasignite.com to learn more about the retreat. The program is also free, but is limited to 12 participants, so preregistration is essential. “My goal is to create a safe, sacred space for women to connect with their inner selves and with others,” Knight says. 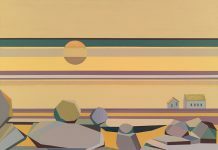 She uses techniques of conscious breathing and guided visualization followed by painting and writing: “I ask women to connect with what’s really important to them, core values and qualities in their life that light them up.” Once the babies come, “most of our life can become putting out fires,” she says. Learning how to connect can help a mother stay calm amidst the hundreds of decisions that need to be made every day. For more information about these programs, or to register, contact Emily LaPierre at the Vineyard Haven library, 508-696-4211. If you’re curious about the practice of reading to a baby before birth, Stonis and Boyle’s website, belly-books.com, has a wealth of information as well as links to other resources and research.